While there has been much discussion about income inequality in Singapore’s recent past, wealth inequality has garnered surprisingly little attention. This is partly because of a paucity of official government data. But a report on global wealth last year by Credit Suisse, an investment bank, estimated that Singapore’s wealthiest 1% hold a quarter of the country’s wealth. In the US, that bracket owns about 30% of the wealth. Globally, just 0.7% of adults own some 41% of the world’s household wealth. Meanwhile, about 4.4% of Singaporeans have more than US$1m each in wealth; while at the bottom end some 20% have only less than US$10,000 each. By that measure, Singapore has one of the biggest wealth disparities in the world. By those approximates, then, it would appear that Singapore’s wealth inequality problem does not fit neatly into the 99/1 or “We are the 99%” paradigm that has characterised “Occupy” movements around the world. Even so, one could argue that for 1% of the population to own a quarter of the wealth is excessive for Singapore, regardless of the situation elsewhere. In comparison to other countries, it seems as if Singapore’s wealth problem is more a case of a tiny minority, perhaps 5%, amassing more and more wealth in comparison to a big chunk of low-wealth Singaporeans. Indeed, a 2013 report by WealthInsight, a trade publication, estimated that Singapore’s richest 3% hold more than 85% of the country’s wealth. But why should Singaporeans worry about wealth inequality? In any capitalistic society, some inequality is expected, even desirable, as the just rewards for differing effort, incentivising people to work hard. But when taken to an extreme, there are several commonly-cited reasons why wealth inequality can be pernicious for a country, hence justifying redistribution. First, it disrupts an individual’s innate sense of fairness, prompting concerns about whether the economic game is somehow rigged. Rather than incentivising people to work hard, this can cause people to become disillusioned and lose faith in meritocracy’s fair workings. Second, extreme wealth inequalities can lead to several economic inefficiencies. One way is that excessive concentrations of wealth in a society can lead to people overspending on positional goods such as luxury cars at the expense of productive investments. The resulting status competition especially hurts people in the middle- and lower-wealth brackets, as they spend a disproportionate share of their income on these luxury goods simply to keep up. Third, a country’s democratic traditions are arguably under threat by wealth concentration. This is because a small group of rich people can wield undue influence on public opinion and policy, for instance in a debate on gay rights. Fourth, there is a moral argument against obscene wealth accumulation and inequality, one that is grounded in many of the world’s major religions (notwithstanding some Mammonic doctrines that have flourished globally, especially in Singapore). Fifth, there appears to be a correlation between inequality and higher rates of health and social problems, such as mental illness and crime rates; as well as a correlation between inequality and lower rates of social goods, such as trust among strangers. Finally, extreme wealth inequality threatens social stability. Countless political upheavals in modern history have had their roots in wealth inequalities, from the 18th C French Revolution to the ongoing Arab Spring. It is therefore in the interests of governments and the elite to mitigate wealth inequality. Meanwhile, several arguments against wealth redistribution are also proffered. The first is the need to preserve the sanctity of private property—in order for a capitalist economy to function, its constituents must feel confident that the fruits of their labour will not be unjustly appropriated by the state. The second is that wealthy individuals are the ones who start-up businesses and generate jobs for society. Without them, an economy’s growth potential would be lower. On a related note is the idea that wealth taxes will inevitably lead to capital flight, as rich people move their money abroad. The third is around just rewards and moral hazard. This is the idea that poor people are lazy or inferior and thus undeserving of help. Offering them aid, so the argument goes, will only dull their instincts and breed an addiction to handouts. Do Singaporeans care about wealth inequality? Singaporean society has traditionally been averse to wealth redistribution, partly because of the idea that focussing on equalising life opportunities is enough. Business and industrial policy has reflected that; when estate taxes were abolished in 2008, Singapore became one of the few countries globally that does not have capital gains (including property) or estate taxes. For the world’s wealthy keen to preserve their wealth and pass it down to the next generation, there is probably no better place. And yet over the past few years it seems as if the pendulum has shifted: Singaporeans are increasingly concerned about wealth disparities. The arguments against redistribution are faltering. For instance, much household wealth creation over the past decade has been in property appreciation, presumably with the lion’s share going to the upper-middle and upper classes. However, the reasons behind Singapore’s property boom are multi-faceted, from clean streets and relatively efficient infrastructure to the city’s growing global prominence. The boom aggregates contributions made by a wide spectrum of people, from roadsweepers and constructions workers to police personnel and taxi drivers. Yet the gains are privatised by those with the wherewithal to invest. A property gains tax would socialise a small proportion of the profits. The second is the idea that Singapore needs many wealthy billionaires in order to seed and grow businesses. This misunderstands the nature of entrepreneurship. Henry Ford and Bill Gates came from humble origins to build giant companies. Their descendants, billionaires, have not created anything similar. This also misunderstands modern capital flows. 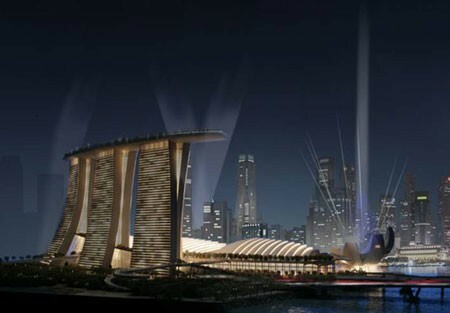 A billionaire does not need to be domiciled in Singapore in order to invest in a business here. Indeed, a wealthy Singaporean is far more likely to invest in a promising Silicon Valley startup than a mediocre Singaporean one. Ultimately, investment decisions are made, well, on investment metrics. The final mistake in this picture is that rich individuals are actually not the main source of global investment funds—pension funds are. All that suggests that in order to boost business growth, Singapore should focus less on attracting billionaires than on fostering a friendly investment climate and an open, innovative environment. There could, of course, be other reasons why Singapore might want to attract billionaires, such as a desire to build a wealth management hub with lots of ancillary services. But that is a different argument that must be weighed against the social and political costs of rising inequality. Finally, Singaporeans are increasingly skeptical about the argument that a person’s poverty is largely the result of a lack of effort. There is much evidence today about the lack of intergenerational mobility in this country. More than ever before, a child’s chance of success is dependent on who his/her parents are. As much as Singapore strives to equalise opportunities, a rich family’s kid will always have an advantage over a poor family’s kid—be it in terms of access to education, nutrition or technology. A growing number of Singaporeans subscribe to the school of thought encapsulated by Michael Harrington, an American political scientist, who in 1962 said that most poor people are poor because “they made the mistake of being born to the wrong parents”. How should the rich give? In an ideal situation, wealthy people in Singapore are altruistic and willingly give their money to the poor because they want to. From a utilitarian perspective, this can make everybody in society better off. Indeed, charitable giving in Singapore has been rising over the past decade, catalysed by a handsome 250% tax deduction, perhaps the highest in the world. However, the fact that wealth inequality has probably sharpened dramatically during that time indicates that much more needs to be done. There are two good reasons why government can be a powerful agent for wealth redistribution in Singapore. The first relates to Singapore’s demographic makeup. Perhaps less than 50% of Singapore’s population was born in the country. Among wealthy citizens—naturalised as well as local-born—there are probably a high proportion of so-called “transnational migrants”, also sometimes referred to as “third culture people” or those with “hyphenated” identities. These are people who might feel allegiance to more than one country or city. This is but one facet of the globalised world we live in, and it contributes to Singapore’s diversity. However, at an aggregate level, Singapore’s wealthy are perhaps relatively more likely to be involved in charitable concerns across different geographies. This dampens their ability to mitigate wealth inequality in Singapore, heightening the case for government intervention. Second, Singapore has a relatively efficient and incorruptible government. While the wealthy have right to be cautious about government redistribution in some other countries, in Singapore they likely feel a lot more confident that redistribution will be conducted efficiently and with minimum “leakage”. Government wealth taxation commonly takes the form of either taxes on capital gains and/or estate duties. Though a detailed discussion of each is beyond the scope of this essay, any tax policy must strike a balance between socially-acceptable wealth creation and excessive wealth accumulation. For instance, consider Japan’s property gains tax. It is levied at 39% of gains on properties less than five years old and 20% on those above. Additionally, there is a Y30M (S$370,000) deduction if the property is the primary residence. The policy’s thrust is clear: to focus more on supernormal profits reaped on speculative purchases rather than socially-acceptable long-term property appreciation. Similarly, taxes on other forms of capital—such as shares—will help to correct for the fact that some high-earners, including those in the hedge fund and private equity industry, make most of their “income” through some form of investment returns. These people often end up paying a lower effective tax on their earnings than do many in the middle-class, a fact highlighted by Warren Buffett, American investor and one of the world’s richest people, in comparison to his secretary. There is little reason why the capital gains of the rich should not be taxed while the incomes of the middle-class are. Capital gains taxes would also correct the perception prevalent amongst many working adults in Singapore today that it is much more financially rewarding—particularly from a tax perspective—to focus their energies on asset speculation rather than traditional hard work. In the same way that Wall Street lured many of the US’s bright young minds away from other industries in the early 2000s, so Singapore’s decade-long property boom has attracted talent away from other potentially productive uses. However, there is a worry that such capital gains taxes might overly distort markets. Indeed, the outlook for Singapore’s property market is somewhat uncertain, following a raft of anti-speculative measures. If all that is cause for concern, then a greater emphasis on estate duties might be appropriate. Some believe that estate duties are unnecessary because of natural, culturally-inbuilt correcting mechanisms: for instance the Chinese adage that wealth lasts in a family only for three generations. But there is little empirical evidence behind that belief. There is also an argument that estate duties are ineffective because the rich will always find ways around it. But that is true of any tax. One suspects that Singaporean authorities will be fairly vigilant in ensuring compliance and closing loopholes, minimising evasion. Some suggest that Singapore should not be seen to flip-flop—after having just abolished estate duties in 2008, surely it cannot bring them back now? Yet for the economic world these six years have been some of the longest and most dramatic. Long-held beliefs about the virtue of free markets have been shaken. Liberal orthodoxies have been overturned. In Singapore, the unquestioned faith in trickle-down economics is a thing of the past. Reinstating estate duties should be seen less as a schizophrenic backtrack than as policy responsiveness. There is also the claim that estate duties might lead to capital flight. Yet the reality is that wealthy people choose to live in Singapore for a multitude of reasons, from business convenience and family safety to geographic location and access. There is certainly some tolerance among them for some measure of estate tax. And even if it does result in some capital flight, that should be assessed against the benefits to society from greater equality. Of course, reinstating estate duties is not the only option; Singapore can implement an inheritance tax, which assesses beneficiaries rather than the estate of the deceased. There are relative advantages of an inheritance tax, including the fact that estate duties can be costly to administer and collect, particularly when assets are held abroad. How should the poor be helped? In keeping with the Singaporean ethos of individual responsibility, wealth redistribution should not entail just crude cash handouts to lower-income people. Rather, it should be dominated by socially-productive investments that help boost the educational, employment and general life prospects of those without wealth. This could include bigger transfers to assist the poor with basic needs, such as education, healthcare, housing and food, in the forms of subsidies, vouchers and stamps. From a broad demographic perspective, estimates suggest that some 10% of Singaporeans have trouble satisfying daily needs. Some 30% have difficulties meeting requirement adequacy. Despite all the efforts in recent years to help lower-income groups, it is quite clear that a lot more can and should be done to help them cope with life in the world’s most expensive city (according to the Economist Intelligence Unit’s 2014 Worldwide Cost of Living Survey). Consider healthcare. Singapore currently spends 3-4% of GDP on healthcare—compared with an OECD average of 6-17%. Although low healthcare spending is defended as efficient vis-a-vis outcomes, there still exist numerous coverage gaps, such as a comprehensive national chronic care infrastructure, that should be plugged. In terms of employment, there are many possible ways to boost the incomes—and hence, wealth-generating prospects—of those at the bottom end. These include minimum wage legislation or a “basic income”, a minimum sum guaranteed to all citizens of a country. Less offensive to welfare-averse Singaporeans might be wage subsidies, such as the Workfare Income Supplement (WIS) scheme. For greater impact, the WIS can be broadened across a wider age band—it is currently available only to those above 35—while the quantum is increased. A more direct measure could include one-off payments to top up the CPF accounts of extremely poor Singaporeans above 65. Other proposals might include those that bridge the digital divide. In a country as rich as Singapore, every young person should be learning to use a tablet computer on ultra-fast internet. Once all their basic needs are taken care of, perhaps low-wealth families can be given appropriate technology coupons? These are all options—the point here is to show that there are many possible ways for redistribution to occur in a socially-productive way, without severely denting the drive of low-wealth citizens. They each have their costs and benefits that should be analysed properly. Most importantly, Singapore should disabuse itself of the notion that wealth redistribution necessarily leads to moral hazard among the poor. Indeed, some of the most competitive countries in Europe—including Germany and the Nordic states—are those with the most active redistribution. As a first step towards considering wealth inequalities, Singapore needs to publish data on it. The government should be able to glean wealth statistics from information provided by the Monetary Authority of Singapore, the Inland Revenue Authority of Singapore and the Department of Statistics, according to Poh Eng Hin, assistant dean of accountancy at the Nanyang Business School, in an interview with The Straits Times. That would allow observers to analyse the true extent of wealth inequality here, and for the policy fraternity to make sound recommendations ahead of next year’s budget. It is worth reiterating here that Singapore has one of the most wealth-friendly tax regimes in the world, with low corporate and personal income taxes and no wealth taxes. This essay is not arguing for a sudden lurch towards a giant redistributive state—France’s current 75% tax on earnings over a million euros comes to mind—but rather for a calibrated effort to build a more equal society. Baby steps are needed. Even if Singaporeans do not care about the moral or social dimensions behind wealth inequality, they should still seek to temper it because of its effects on meritocracy. According to Mr Buffett, dynastic wealth is the “enemy of meritocracy”. In order to preserve Singapore’s core tenets of individual responsibility, equality of opportunities and meritocracy, it is important that wealth inequalities be reduced. If not, social tensions will surely rise. While it might seem implausible to picture in Singapore the sort of class-warfare-related demonstrations now commonplace in Arab countries and many Western democracies, history tells us that change can happen suddenly and quickly, often sparked off by a single incident. In fact, testimony from the Committee of Inquiry into last year’s riots in Little India has pointed to chronic discrimination against Indian workers as one reason why the alleged rioters got upset. Wealth inequality feeds class consciousness and discrimination. Many of Singapore’s contemporary socio-economic tensions have the veneer of simple racism or xenophobia. Yet they are also rooted in dissatisfaction over wealth inequality and the perception that opportunities to survive—let alone succeed—are vanishing. Sudhir Thomas Vadaketh is an author. Together with Donald Low, associate dean for executive education and research at the Lee Kuan Yew School of Public Policy, Sudhir is the co-author of an upcoming book, Hard Choices: Challenging the Singapore Consensus, to be published by NUS Press in April 2014. On March 4th 2014, Sudhir participated in a debate on Wealth Inequality on Channel News Asia, alongside Melanie Oliveiro and Tan Khee Giap. Click here to watch it. (B) foster Medical Tourism Hub even as the PAP Govt failed to start building hospitals, nursing homes and hospices from a decade ago when Minister Khaw BW started ranting above Silver Tsunamis and various inter-ministry committees submtted reports to PM Lee HL on ageing-related issues. Property Gains Tax for investment properties was recently introduced by the UK – a free and open economy. In land-scarce Singapore with CPF savings sanctioned for withdrawal for residential housing (hence, retirement security at stake), it becomes even more vital to foster property ownership (rather than property investment) through Property Gains Tax for Investment Properties (be it HDB or private) – scaled over a longer time frame of 10-15-20 years to be commensurate with the characteristics of this asset class. Even under Budget 2014, it is obvious politicization of public housing to give U-rebates and S&CC rebates to HDB/EC owners (and HDB/EC occupants or essential occupants), esp where they (1) already own private residential properties, (2) use the HDB flat for extra rental income (ie, not hardship case) and/or (3) have taken up residency in Malaysia under “Malaysia My 2nd Home” framework. It is a deliberate policy gap to NOT have an Occupant Registration System – Little India riot likely exposed the tip of the iceberg of illegal subletting and overcrowding (apparently, even offices in old or unpopular office buildings were surreptitiously converted into dorms – not just bungalows and condos). It is just like increasing ministers pay by 1000%. Then reduce it by 20-30%. Wow – that hurts. The only way to redistribute wealth is to destroy the incentive to get wealth!